While the terms are often used interchangeably, there are often differences in these new “cyber” terms. Cyber-stalking for instance refers to the use of electronic communications that involve a pattern of threatening or malicious behavior with a credible threat of real, physical harm. 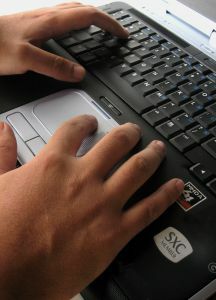 In many cases, states’ normal stalking laws may cover electronic communications. Cyberharassment may be considered a lesser version of cyberstalking that involves electronic communications that target and harass a certain individual, but without evidence that the actor is actually planning any real physical harm. Cyberbullying laws may include elements of either cyberharassment or cyberstalking as violative, but generally these laws only apply to the protection of minors. New Jersey’s new law is a cyber-harassment law. The law makes it a crime to threaten to inflict injury, physical harm, or commit any crime against any person or any person’s property, or to send, post, comment, request, suggest, or propose any lewd, indecent, or obscene material to or about a person through electronic communications. An interesting addition to this law is that, for minors under the age of 16, the court may order that the minor complete a class or training program to remedy the cyber-harassment behavior and/or teach awareness regarding the dangers of cyber-harassment. If a parent or guardian of the minor fails to comply with such conditions, he or she may be considered a disorderly person and may be fined up to $25 for a first offense and up to $100 for each subsequent offense. McLaughlin & Nardi, LLC’s attorneys are experienced with harassment, particularly in the sphere of employment relationships and discrimination. To learn more about what we may be able to do to help, please visit our website, or contact one of our New Jersey lawyers by e-mail or telephone at (973) 890-0004.